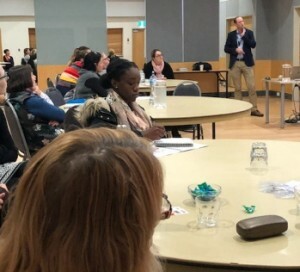 Western Australian Country Health Service (WACHS) and Rheumatic Heart Disease Australia (RHDA) collaborated to host a series of workshops for health practitioners throughout WA. The workshops were initiated by WACHS and RHDA was thrilled to be able to support this activity. 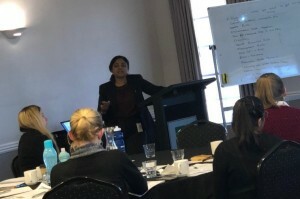 The RHDA and WACHS teams travelled to Broome, Kalgoorlie, Port Hedland and Perth to provide full day training workshops, as well as additional workshops in the evening. The multiple locations encouraged a flexible program and allowed local experts to present topics and issues appropriate to participants. 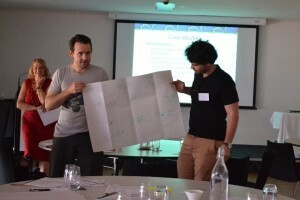 Over 130 people participated, including medical and nursing staff from clinical areas, population health, environmental health and students participated, with an overwhelming majority rating the workshops as ‘extremely relevant’ to their work. 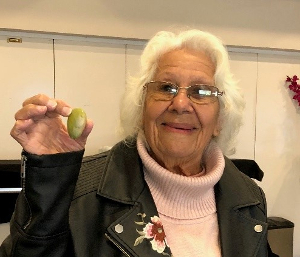 Many willing participants were new to rural and remote health and the care of people with acute rheumatic fever (ARF) and/or rheumatic heart disease (RHD), and were unaware the burden of disease in WA. As well as improving their knowledge of the prevention, diagnosis and management of ARF and RHD, participants enjoyed the group activities, with interactive sessions including cultural considerations, journey mapping, and planning interventions in the workplace. 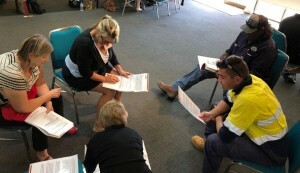 A huge thanks to the many presenters from regional centres in WA, and to all participants who attended. Participant evaluation forms have shown the sessions on cultural and integration of environment health workers were a highlight of the series. The Aboriginal Environmental Health officers showcased the success of the local environmental health programs in each of the workshops. Environmental health workers were well represented and offered a different perspective to the clinical participants. 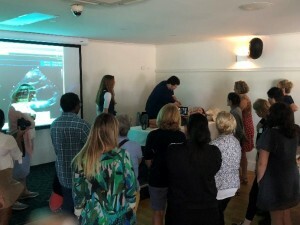 Chris Smith (expert echo cardiographer), was a highlight in Broome as the sessions about echocardiograms came to life. Welcome to country in Kalgoorlie included an explanation about how Kalgoorlie was named after this seed.